More than one-third of all vehicle fatalities that occur in the United States are alcohol-related. Over 10,000 people die every year in an accident where at least one driver had a blood alcohol content (BAC) of 0.08 or more. Yet, despite all the education, touting the dangers of drinking and driving, a new study reveals that millions of Americans are still not getting the message. According to new statistics released by the Centers for Disease Control (CDC), more than four million people admit to driving drunk at least once in the previous month. This works out to more than 120 million instances in a year’s time. The study, which was published in the Morbidity and Mortality Weekly Report (MMWR), also found that the area of the country with the highest number of people who admitted to getting behind the wheel of a vehicle after drinking where in the Midwest. When it comes to gender, men were responsible for 80 percent of the four million episodes of drinking and driving. Additionally, young men who are between the ages of 21 and 34 years of age were responsible for more than 30 percent of all the instances cited. Binge drinking appears to be a particular issue with driving while drinking. 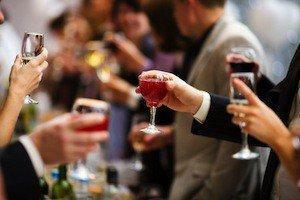 More than 85 percent of those who participated admitted to binge drinking. 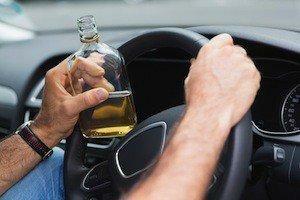 Those binge drinkers accounted for 60 percent of those drunken driving instances. The binge drinkers also reported multiple instances of alcohol-impaired driving within the past 30 days. Although the results of the study may seem shocking, given the negative associations society now has towards drunk driving compared to decades ago, the study’s authors did cite current strategies which do work when it comes to combatting drunk driving. Those cited included the nationwide recognition of 0.08 BAC driving statutes, law enforcement sobriety checkpoints which are announced to the public ahead of time, and the use of alcohol ignition interlocks for those convicted of drunk driving. The study also cited alcohol tax increases as another successful determent to drunk driving. If you have been injured in a crash caused by a drunk driver, contact an experienced Westport personal injury attorney today to find out what legal recourse you may have against the other driver for your pain and loss.